Our Professional Design Consultant will meet with you for a complimentary consultation to discuss your ideas. Whether considering a fresh new design for your existing office building, Hi-rise condominium, business or home, or you are in the planning stages of remodeling or new construction, why not take advantage of the opportunity to learn what live plants, professionally maintained can do for you! 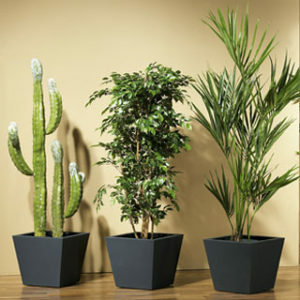 Your plants and decorative containers have arrived. After your space is enhanced by our experienced, professional installation team, it’s time to enjoy the transformation. It’s subtle, but notice as employees, customers, and visitors respond to the new look and feel of your environment. Research continues to prove that indoor live plants improve the atmosphere, reduce stress, and sharpen concentration by boosting oxygen, and removing airborne toxins. If you are ready for your free consultation, just click here. Here’s the really easy step. While you enjoy the beauty and benefits of your new indoor plants, rest assured that caring for them and keeping them healthy is the easiest step of all. With Orlando Outdoors exceptional service, consider this done.